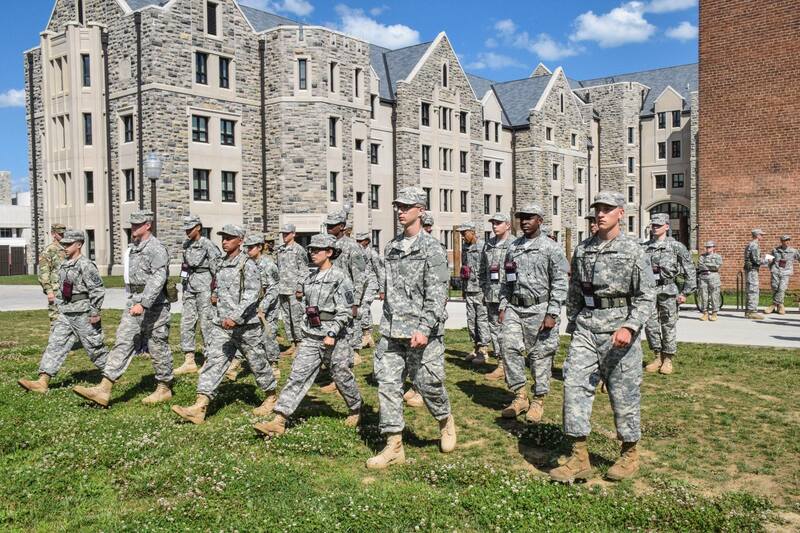 The Fishburne Military School Raiders are a team unlike any other. Raiders master the art of teamwork and compete in a variety of events during each Raider Meet. From the 5k Road March and Fitness Tests to Litter Carry Races and Vehicle Pulls, Fishburne Military School’s Raiders depend upon one another for success and strive every year to be the best. Concentrating on physical endurance, skilled maneuvers such as One-Rope-Bridge, and military precision, the Raiders have been recognized as “Best of the Best” within US Army Cadet Command’s 4th Brigade for the last three consecutive years. The elite Color Guard group at FMS performs at numerous parades as well as athletic and special events. From Washington Redskins football and the University of Virginia basketball to the Apple Blossom Parade and Waynesboro’s own Fall Foliage Festival, this award-winning group never fails to inspire those fortunate enough to view a performance.